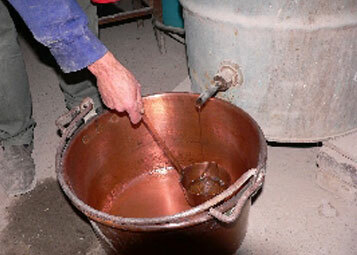 Part of the liquid obtained during the initial phase of the distillation with still. It is a product rich of impurities, containing highly volatile substances with a high alcohol content. The separation of the head from the rest is made manually basing on chemical analysis and tasting.